WhatsApp has successfully started the roll out of forwarding limit on messages in India. With the Indian government talking tough on WhatsApp’s failure to check the spread of fake and provocative content on its platform, the instant messaging service said it has begun rolling out its forward message limit to five chats for over 200 million users in India. The Facebook-owned platform last month announced to launch a test to limit message forwarding to five chats in India. “The limit has started to appear this week for people in India who are on the current version of WhatsApp,” the company said in a statement on Wednesday. 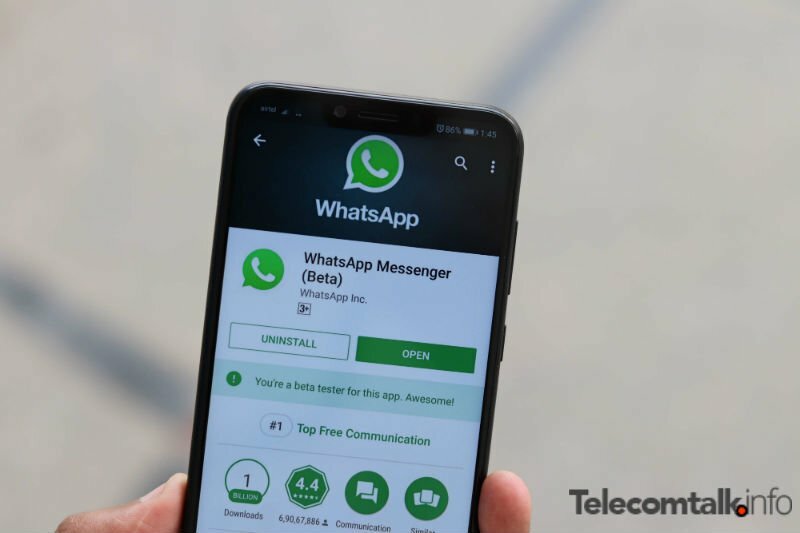 Media reports surfaced this week, claiming the Department of Telecommunications (DoT) had asked telecom companies for ways to block social media platforms like WhatsApp, Facebook, Telegram and Instagram in case of a threat to national security and public order, as reported by IANS. If you impose any more restriction, I will switch over to viber and nimbuzz. Mind it. A message cannot 5 times or an individual can only forward to 5 groups/other individuals?